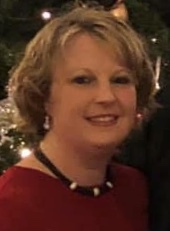 On behalf of the Board of Directors and Founder of Firefighter Behavioral Health Alliance, we have selected Elizabeth Henderson to receive one of five Scholarships that we have to offer. Elizabeth is the recipient of the Firefighter Timothy J. Karnisky Scholarship in the amount of $500.00.Elizabeth is currently a doctoral candidate in the school of nursing at Northeastern University in Boston Massachusetts. Her dissertation research is focused on suicide prevention among professional firefighters, a topic of interest that developed during her career as a firefighter. Elizabeth is a former full-time Firefighter/Paramedic, having proudly been a member of the fire service for over 15 years before leaving in good standing to pursue her doctoral degree full-time. She is the spouse of a Firefighter/Paramedic and the daughter-in-law of a retired Fire Chief. Elizabeth lost her grandfather, a retired volunteer firefighter, to suicide. She is passionate about bringing awareness to mental health in firefighters and about stopping suicide among firefighters and first responders. In addition, she has also worked as registered nurse for over 19 years, having spent the majority of her clinical career as an emergency department nurse. She is currently active in nursing leadership holding the position of Nurse Manager in the Emergency Department at Boston Medical Center in Boston, Massachusetts. Elizabeth has a Master’s of Science in Biomedical Forensic Science from Boston University and a Master’s of Science in nursing from Boston College. 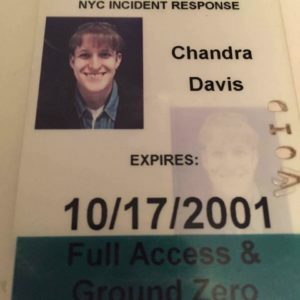 She has received numerous clinical performance and academic excellence and achievement awards during her career, is a member of the American Association of Suicidology, the International Association of Forensic Nurses, Sigma Theta Tau, and the Emergency Nurses Association. FBHA and FF Karnisky’s family wish Elizabeth the best of luck and much success in the completing her Doctorate of Nursing. To find out more about our scholarship program or to make a donation to support the program, please see the Scholarship Program Page on our website at http://www.ffbha.org. On February 15, 2018, the Board of Directors for Firefighter Behavioral Health Alliance (FBHA) unanimously approved a grant request to provide no cost workshops to fire departments on suicide prevention and awareness. This year FBHA is offering both Saving Those Who Save Others and An Internal Size Up through our grant program. Both workshops are 4 hours that discuss signs/symptoms, communication, addictions, stress, and PTSD. These workshops also include videos, role-play and a presentation of the data collected by FBHA. The scope of the grant is to provide 12 workshops for volunteer, career or combination departments that have budget restrictions that inhibit them from paying for this type of training. Departments that are awarded a workshop will not incur any fees or expenses, with the exception of refreshments or lunch for the attendees if desired. These are all covered by the FBHA grant. The training must take place in 2018, and is dependent on the schedule of the instructor(s) and fire department. To complete your application, Please complete and submit the document below along with the required financial statements. Applications will be accepted by email to info@ffbha.org or by faxing to 623-388-3642. If you have any questions, please contact us at 847-209-8208. 9/11/01 Is a day of Remembrance. A day the Nation came together and a day the Nation should continue to come together and remember the events of 9/11/01. 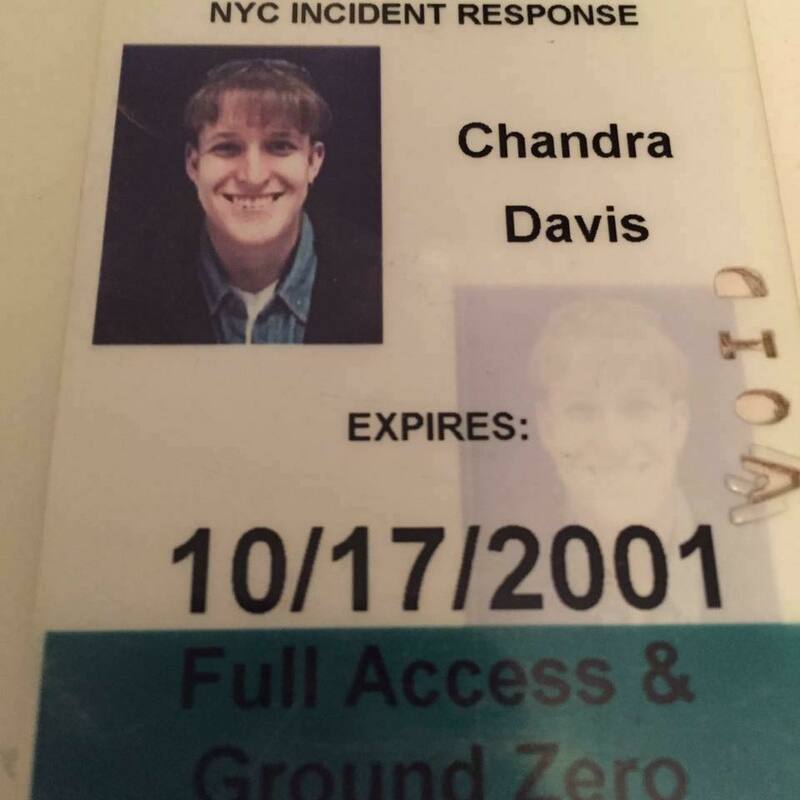 Being one of many First Responders that answered the call to go to Ground Zero in September 2001 from Tennessee. We arrived a few days after the Towers had come down. We were assigned Tower 2. We had many duties, worked long hours, and met amazing people in New York. Ground Zero, The Pentagon, and Shanksville should all be in our thoughts and prayers always. Remember those lost and those who responded and answered the call and are still dying of 9/11 related conditions. If you have questions please feel free to reach out to me at Cdavis4420@gmail.com. 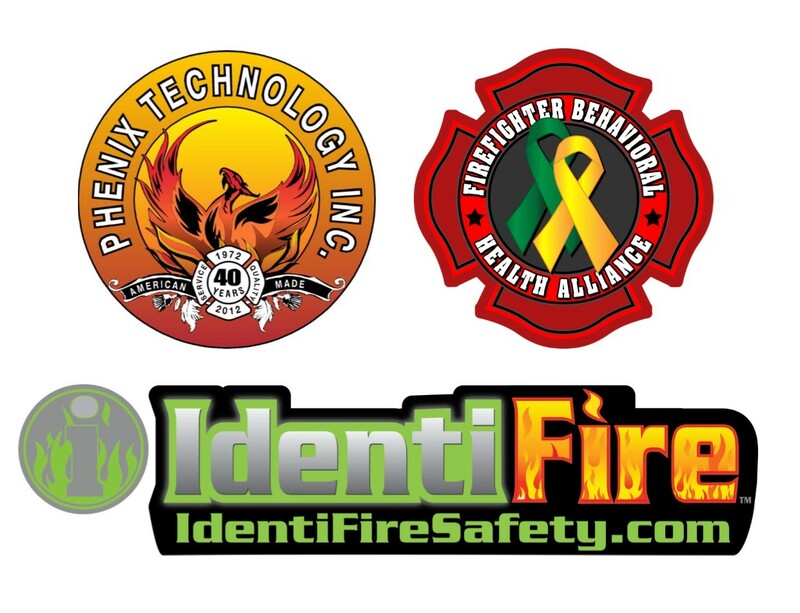 RIVERSIDE, CA—Phenix Technology, Inc. and Identifire Safety Products are teaming up with the Firefighter Behavioral Health Alliance (FBHA) to help address the critical need for fire and emergency medical services (EMS) behavioral health awareness. Firefighters and EMS personnel are engaged daily in traumatic situations causing career-related stress, which is leading to issues such as depression, PTSD, anxiety, addictions, relationship challenges, and suicide. FBHA was established to directly educate firefighters and EMS personnel and their families about these issues and help bridge the resource gap between medical professionals and first responder services. FBHA provides behavioral health workshops to fire departments and EMS providers across the United States focusing on behavioral health awareness with a strong drive toward suicide prevention and promoting resources available to firefighters/EMS and their families. Specific behavioral health workshops include: An Internal Size-Up, which educates personnel on how to look for signs and symptoms of behavioral health problems, communication, confidentiality, and roles/responsibilities and Saving Those Who Save Others, a workshop focused on suicide prevention and awareness. Additional workshops are directed at spouses and partners and children of firefighters and EMS personnel. FBHA’s sole goal is to promote good mental health for the men and women of the fire service and EMS and their families, as well as making a significant difference in reducing the numbers of firefighters and EMTs who are turning to suicide to ease their pain. “Most discussions around safety concern the gear and tactics of suppression and rescue. Unfortunately we often forget that a first responder’s safety concerns don’t just begin when the tones go off or when the units return to quarters. Our dialog has to start including the mental health of our brothers and sisters, and we are honored to work with Jeff Dill and his organization to help bring awareness to an often overlooked issue.” says Angel Sanchez, Jr., Phenix Technology, Inc.’s chief operating officer. Phenix Technology, Inc. is creating a handmade Behavioral Health Awareness traditional leather fire helmet that will travel with the Phenix team during their 2017 Trade Show Schedule. The helmet will be used as a talking piece along with educational material that will be distributed at each show. At the conclusion of the 2017 season, the helmet will be auctioned off to raise funds for FBHA. Identifire Safety Products will be creating a special photoluminescent piece that will be available for sale with all profits going to support the FBHA mission. FBHA will produce a weekly educational piece that all three organizations will be sharing. “Being on the job long enough, we will all be exposed to some form of PTSD. Whether it’s our own demons, or a brother orsister next to us. We have lost too many already. 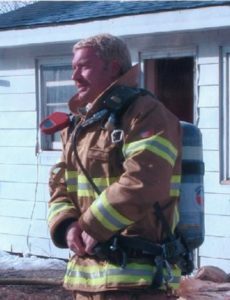 Time for a change,” says Matt Hyman, CEO of Identifire Safety Products. For more information, visit www.phenixfirehelmets.comand www.identifiresafety.com. To commemorate National Fire Prevention Month that is observed every October, firefighters across the nation take to schools, libraries and community centers to educate everyone about the importance of taking preventative measures. 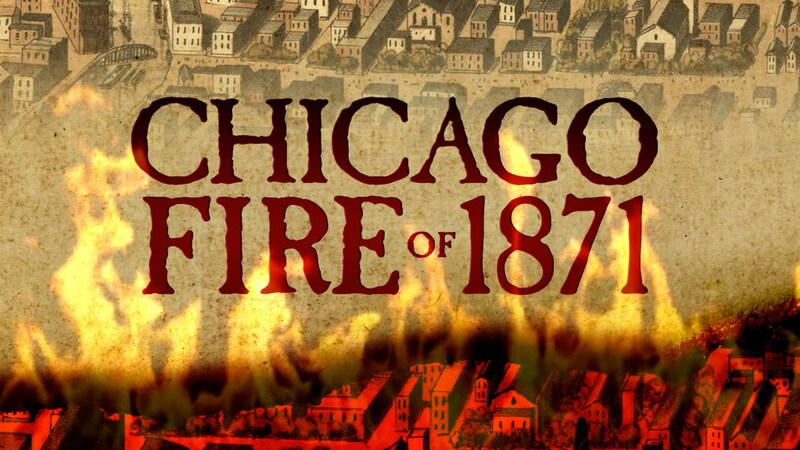 The first Fire Prevention Weekwas started to commemorate the Great Chicago Fire of 1871, which killed more than 250 people and left 100,000 homeless. This famous blaze forever changed the way that firefighters and public officials thought about communicating fire safety. 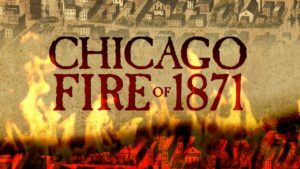 On the 40th anniversary of the Great Chicago Fire, today’s International Fire Marshals Association decided that the anniversary of the Great Chicago Fire should be celebrated in such a way that would help keep the public informed and aware of the dangers of fire. Safety is put in jeopardy when firefighters adhere to heroic concepts and do not address the unique physical and mental stressors of their job in a timely manner. Stopping a strong gut instinct and waiting for the right time to enter a building is a mental struggle that only professionals can grasp after many years on the job. Burns, broken bones and other injuries are common for firefighters who don’t put their health first. But professionals must prioritize their own health so that they can continue to help others – including their own. There are no easy solutions to a firefighter’s daily struggles, but there can be some simple preventative measures. Fire chiefs are where workplace safety starts. Before an emergency call, every professional should be properly geared up with a safety belt across their chests. By taking safety seriously at the firehouse, those concepts can be extended to the field workplace. A fire from the previous day can be the focus of a small meeting. When firefighters can speak about their concerns, their mental well-being can improve. Fire chiefs might note if anyone is having deeper issues with a trauma. 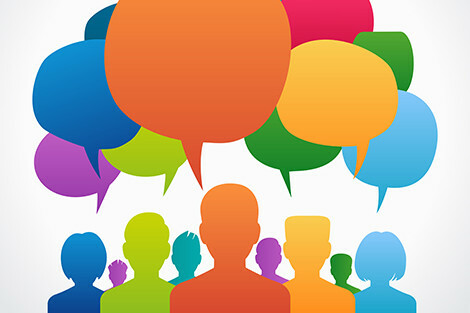 Group sessions, professional referrals and other resources may be offered so that everyone deals with the issues in a healthy way. As mental health comes into the light, more fire-fighting departments are working with their teams to help anyone who needs it. In many cases, every experienced firefighter may need some counseling to deal with the day-to-day stresses that they encounter. All members of fire and rescue teams use every piece of their training to save families and property from the damage and danger of smoke and flame, but “training” comes in many forms. If an individual has never been taught to observe the warning signs of behavioral health trouble in himself or his teammates, it’s hard to know how to take action. Helping promote a culture of safety concerns everyone – firefighters, emergency personnel, and the public they serve. National Fire Safety Month exists to improve everyone’s understanding of the importance of preventing disasters before they occur. Three out of five home fire deaths result from fires in properties without working smoke alarms – and smoke detectors don’t last forever. National Fire Protection Association (NFPA)requires smoke alarms to be replaced at 10 year intervals, but because the public is generally unaware, many homes have smoke detectors past their expiration date. More families today are purchasing smart home fire systems, which typically off some form of remote monitoring – either continuous or on-demand – to help tip off residents if a fire starts at any time. But smart alarms and technology cannot do it all. As National Fire Safety Month continues throughout October, it’s an opportune time to shed light on the crucial importance of a department’s safety climate and improve everyone’s relationship to preventative safety measures. Beth K is a freelance health and family blogger based in the Midwest. After she graduated from DePaul University with a Communications degree in 2011, Beth moved to South Korea to teach English and study traditional holistic health and yoga practices. Today she lives in Chicago with her rabbit, Anthony Hopkins. 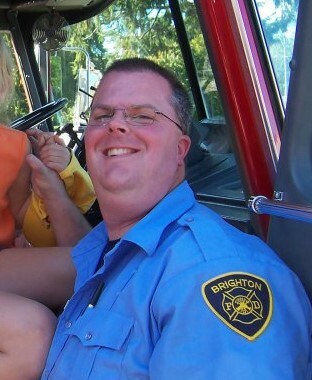 One day, I’m riding in the back of the fire engine, because, when you are in the fire department, that’s what you do. Then a guy looks at me and says “so, what are you good at?” “Nothing, really” “Come on, everybody’s good at something! That guy, was Marcello Trejo. He was good at plenty of things: Fitness. Compassion. Keeping people laughing. He was the kind of person that when he came to mind, I would wonder what kind of extraordinary impact he would have on the entire fire service. He was not the guy I would have thought would have taken his own life. TD Jakes talks in one of his sermons that some people can be going through turmoil and no one ever know it. Are you one of those folks with turmoil hidden behind a smile? Would you know what to do if someone you knew was that person? I would love to time travel to a point in time to keep Marcello here. But I can’t. Instead, I figure I’d reach out to you. When I take a flight, the stewardess has in their safety briefing that when we lose cabin pressure, first put your mask, then help the person next to you. In the military and in public safety, we rarely do that. Instead, we fail to see how taking care of ourselves, can be the best things we can do to help others. For the month of Sep, I’ve decided that every day, I’ll do 22 pushups for the military suicides that happen every day. Then another 13 Burpees to represent initiative 13, the Behavioral Health Initiative from the 16 Firefighter Life Safety Initiatives. I started to video the workouts, but then I thought “I’m no star athlete, what’s the point in that?” Instead, day morning, I’m going post something I learn about mental health or suicide. A story. A fact. Info about an organization. Sometimes it will be a video, sometimes just an encouraging word. September 28, 2016 Message from a brother, Joseph Bonanno. 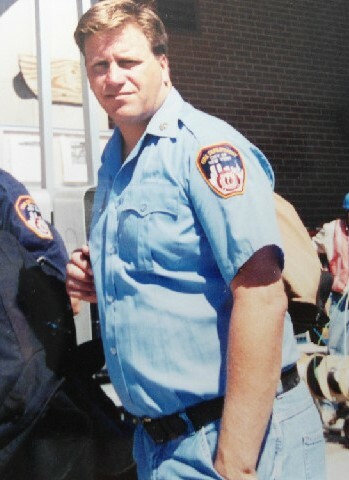 One of Michael’s proudest moments is when he became a member of the New York City Fire Department. He enjoyed a great career and also thoroughly enjoyed the camaraderie within it’s ranks. Unfortunately, a back injury ended his career early, maybe too early, one of the issues he struggled with after leaving the fire service. The pictures above tell only a portion of what he was as a person. I am Joseph Bonanno, Michael’s brother and also a veteran of the FDNY. The picture above is of Michael (in the light blue shirt) and I, at a train station with our gear on September 12, 2001 on our way to assist in the rescue and recovery efforts at Ground Zero. Even dealing with a disabling back injury, he insisted on responding and we both worked side by side, tirelessly in search of survivors or helping other firefighters. His company, Ladder 7, lost 5 members that day and it was his shift that was working that morning. We all lost so much that terrible morning as the world both grieved and applauded the FDNY. Michael married, adopted a daughter and lived in several places, Morro Bay, CA, Asheville, NC, Destin, FL and eventually settled in Cleveland, OH. September 24, 2016 – Viewpoint of a dad, Al Diercks. 2016 has been an unpleasant milestone. It’s been five years since we lost our son Todd to suicide and I’m still mad. This emotion is not within the context of the “anger” that’s academically included as “one of the 5 normal stages of grief”. Certainly, all our family members hit various “denial, “acceptance” and “depression” levels but I can say that I never sensed any anger toward his suicide – only an overriding feeling of compassion and deep remorse. This included relationship issues and an off-duty spinal injury that ended his career as a firefighter and shattered his sense of self-worth. A subsequent marriage, stillborn child, financial struggles, divorce, self-medication and job loss combined to take him down. So during the years of keeping myself, at least loosely tied to my own whipping post, I’ve learned a lot about the other players and processes that can help keep the progressive “mental / behavioral health issues . . . to mental illness . . . to depression . . . to suicide” issue under a greater level of control. At the earliest stages, universities, fire schools and departments need to let candidates know (and SEE) the type of situations they WILL be exposed to. 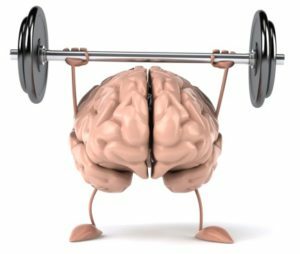 The issue of “mental fitness for duty” should be considered as important as physical health for firefighters and EMT’s. Funding should be resourced and allocated for ongoing training and screening in this area. This should contribute to more open, non-threatening discussion and mutual support throughout departments. Contracted (EAP) Employee Assistance Program providers must be selected from firms that have a minimum level of Fire/EMS/Trauma-specific training (hrs. TBD) to be considered in contract evaluations. Pharmacists, primary care physicians and LCSW’s who support first responders need to have more effective lines of communications to prevent interactions and misuse. These are only recommendations but we put it out there as a wish list. Whatever your connection to fire/EMS, we hope you can help make some of these wishes happen by guidance, participation or contributions — any amount will be appreciated !